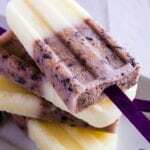 These grown-up creamsicles have everything you want in a fresh summer dessert — a hint of tropical coconut, vanilla-kissed blueberries, light dairy that allows the honey-sweetened pop to pause on your tongue — and nothing you don’t want like added refined sugars and chemicals. At just over 80 calories per pop, you can put your feet up and bite into summer without a hint of remorse. 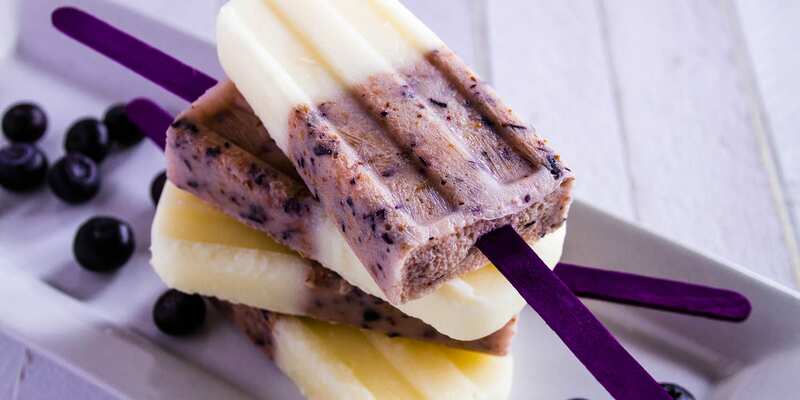 These grown-up vanilla and blueberry creamsicles have everything you want in a fresh summer dessert.